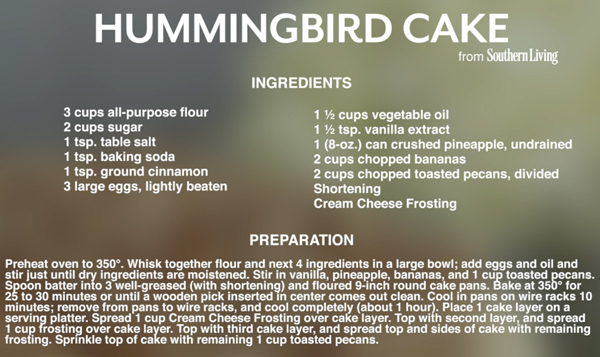 When I came across this recipe from a link to Southern Living magazine’s site, I knew I wanted to share it. Growing up, this cake was our next-door neighbor’s “special” dessert and it arrived at every pot luck. Leola let me make with her one time and I remember licking the icing bowl. 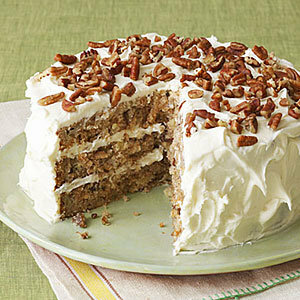 This rich cake is surprisingly “light” for such dense ingredients and the pineapple and bananas with pecans are just yummy. And it’s a wonderful childhood food memory. You know…I should include more food in my books. Just a thought. This entry was posted in Writing Life and tagged family, food, history, musing, recipe, Tuesday Treats. Bookmark the permalink. Looks scrumptious. And ebil. 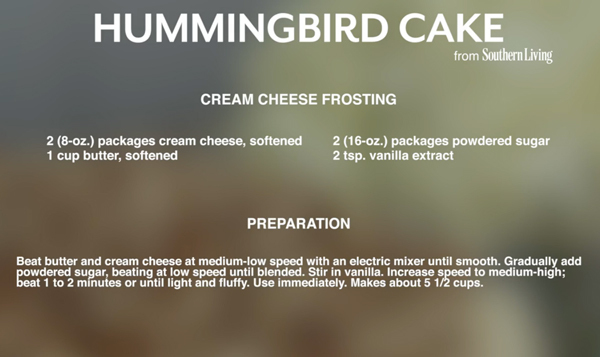 2 lbs of powdered sugar in the frosting? Wow.